When you hear so much about something being said about a certain subject, it can prove to pretty difficult to determine what true and what’s false. But not to worry! The roofing Webmasters have you covered. 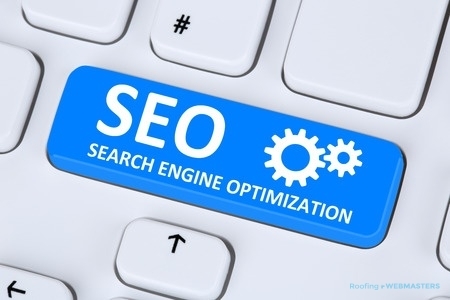 Our SEO experts are here to give you the cold hard facts about SEO and how it can be incredibly beneficial for your roofing business. Anyone can set up and maintain your site: Just because your family member or good friend has a degree in marketing or claims to know all about SEO doesn’t necessarily mean that they know what they’re doing. Neither of these is the same as being proficient in SEO and that’s where quality SEO companies, like the Roofing Webmasters, come in. It’s vital that you trust your website with someone who works with SEO day in and day out and are up to date wit the newest methods. Set it and forget it: Most people think that once they have a website set up, that’s it. They think that they have nothing else more that they have to do and it’ll continue to increase in ranking. The truth is, web crawlers look for consistent action to happen on your site. If they see that it has been idle for quite some time, it can actually be harmful to the rankings. The top spot is the only that matters: Everyone wants to be in that #1 spot in search rankings. Of course, it’s a goal to strive for, but it isn’t the only way to get increased traffic to your site. Making sure that you’re participating social media or even PPC will help you have a successful online presence. When it’s all said and done, internet marketing is the direction that the world is going. And luckily for you, the Roofing Webmasters are in your corner to provide you with premium quality SEO services.Whether you’re looking to learn more about SEO facts or you’re looking to give you web presence a boost, pick up the phone and dial (800) 353-5758 now!